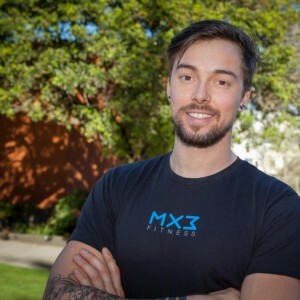 MX3 Fitness Trainer, Govinda Schäfer. With a “back to basics” approach, Govinda focuses first and foremost on form and balance for everyone from the novice to the practiced power lifter (his own personal area of emphasis). Govinda specializes in creating 360-degree body balance and stability using a combination of body-weight training, power techniques, and an emphasis on core strength.